Cleaning tiles is a horrible job that requires time and a lot of effort. Cleaning grout is even worse as it is absorbent and harder to reach. Save yourself the blood, sweat and tears and let our team of professional cleaners clean your tiles and grout for you! 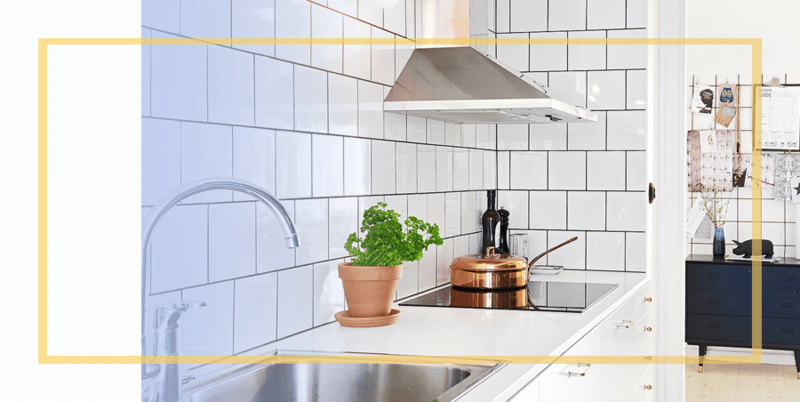 Specialist Oven Cleaners provide efficient tile and grout cleaning London for both commercial and residential clients at very competitive rates. If your tiles are looking dull or stained and the grout has become darker, even black, it’s time for a clean. If there is mould or mildew growing on tiles or grout they are long overdue for a good clean. Floor tiles and grout that is dirty pose a safety risk on two levels. Firstly, bacteria thrive in dirt. Secondly, grubby floor tiles and grout can become slippery. Mould and mildew on tiles or grouting presents health hazards on their own. Various types have been linked to respiratory problems and infections, rashes, eye and skin irritations, coughing, chronic sinus problems. Some may even harm the immune system. Mould and mildew are also a perfect home for bacteria and a range of allergens that cause a range of health problems. Mopping tiles and grout is not the way to deal with dirt. This is especially the case with grout as it is porous and absorbs dirt in a way tiles don’t. Our cleaners use eco-friendly products and specialised cleaning equipment to lift dirt, grime and stains out of grout. If grout has become too discoloured due to neglect it can be stained a darker colour. At Specialist Oven Cleaners we are able to effectively and safely clean tiles made from a range of materials including limestone, terracotta, porcelain, travertine or ceramic. Cleaning methods will vary depending on the tile material. Our teams will leave tiles shiny and grout deep-clean. Give our customer service team a call now on 020 8629 5335.